The Institute for Excellence in Writing (IEW) has created several writing programs that will help your student to develop successful writing skills. The Fix It! Grammar program has 6 levels that takes students from basic editing to excellent grammatical skills that helps strengthen their writing skills. The Fix It! Grammar series takes your student through all levels of grammatical skills using practical, real world examples in literature. Each level contains 33 weekly lessons that guide students through proofreading and editing skills using classical stories. All errors that students will be correcting are typical errors that students make in their own writing. This allows them to see and correct errors they may not even realize they are making. All work is a cumulative effort, and students continue to build on passages daily. Student confidence is increased as they see each assignment is building into a story. They will not even realize that they are learning the rules of grammar. The early books of Fix It! Grammar encourage students to recognize parts of speech, punctuation, identifying phrases, main clauses, and dependent phrases. It is recommended that students do start with Fix It! 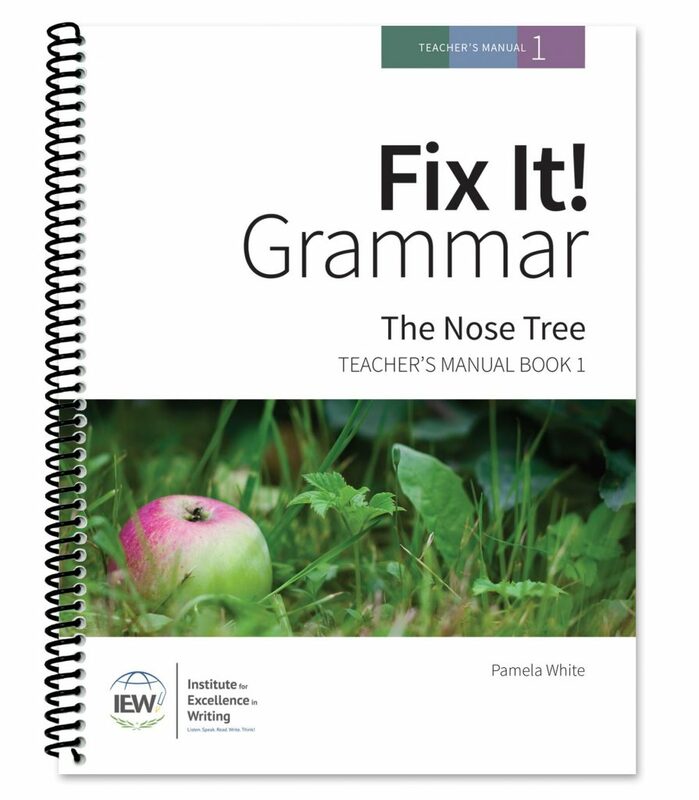 Grammar: The Nose Tree (Book 1) since all books build on each other. But a placement test is provided for each level, if your student already has basic skills and needs to fine tune them. Fix It! 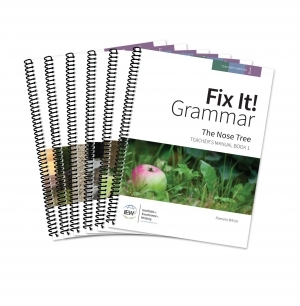 Grammar: The Nose Tree (Book 1) introduces students to early proofreading skills including creating paragraphs and punctuation. Fix It! 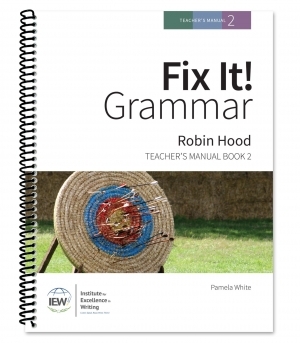 Grammar: Robin Hood (Book 2) allows students to work their way through the classical story of Robin Hood as they correct errors in the various passages. Fix It! 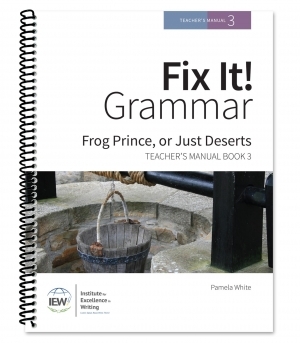 Grammar: Frog Prince, or Just Deserts (Book 3) will explore how sentences are structured and learn how to apply punctuation rules to sentences through the use of excerpts from The Frog Prince. There is even a fun pun at the end of the book. Fix It! 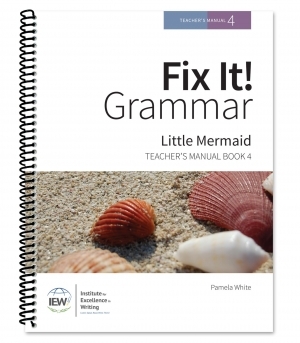 Grammar: Little Mermaid (Book 4) takes students through the classical abridged story of The Little Mermaid. Fix It! 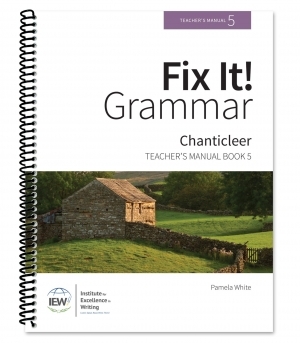 Grammar: Chanticleer (Book 5) features the story from Chaucer’s Canterbury Tales. Fix It! 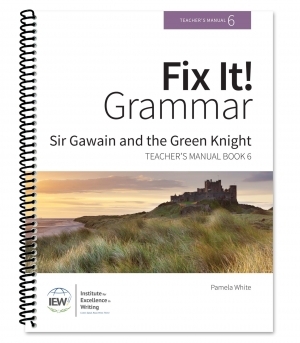 Grammar: Sir Gawain and the Green Knight (Book 6) tackles this tale of the Middle Ages in the final book of the Fix It! Grammar series. Each Fix It! 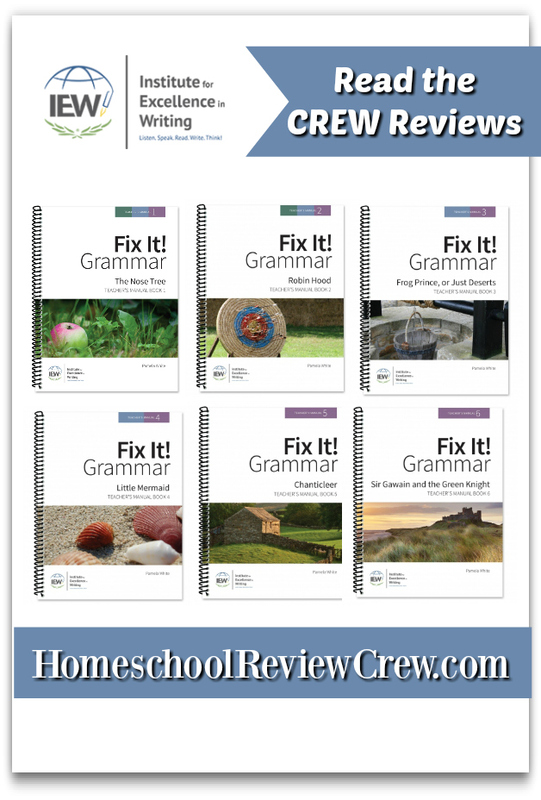 Grammar bundle includes a Teacher’s Manual and Student Workbook. The suggested four-day work week is laid out easily for the instructor to administer and created for student’s to see immediate success. Each level is meant to last a full-year, but if you have a student who is starting later or working ahead, you can adjust their workload to finish two levels a year so that they can finish the series sooner. Thank you to Renita K at Krazy Kuehner Days for writing this introductory post.